This weekend, I visited my friend Patti, in Vermont, who I met on the trip to Antarctica in March. I came up to visit her, provide moral support for her first ultramarathon, and run this race as well. She’s a super enthusiastic, smart, strong woman, so it was a no-brainer to come up here and visit her – especially on such a momentous occasion as her first ultra. Fastest times. Faster times mean easier courses, and slower times mean harder courses – or not a lot of fast runners have run the race. Before yesterday, the fastest female finish time on this course was 6:52, which is pretty slow for a 36-mile race. So, either the course is ridiculously challenging, or the race is local enough that it doesn’t attract a lot of fast runners. Elevation change. Lots of hills mean harder courses. I looked up the elevation profile for the course, and a race report from 2012 shared the below chart. It may look hilly, but it really isn’t that much relative to some of the more extreme ultras – the highest climb is just about 1,000 feet. I’d estimate that the total elevation change is somewhere in the 3,000-4,000 foot range, and 50k race on the West Coast regularly clock in around 5,000 – with five fewer miles. The elevation profile didn’t seem to justify the slow course record. Weather. Hot, humid climates lead to slower times. Vermont is pretty wet, but it’s not as bad, as, say, Washington D.C. I didn’t think that weather would be the cause of the slower course records. I assumed that the slow course record was just because it was a smaller race. Only 60 runners would compete in this year’s event, so probably it was just not a race that attracted lots of out-of-town runners looking to set personal records. Boy, was I wrong. When I finished the race, I texted Will: “The course was easily the most frustrating, technically challenging, confusingly marked” that I’ve ever run. Pre-race. Patti had been training for this race for a while, and she was very excited about it. Her house was full of race-oriented, motivational reminders. She’d written inspirational quotes on her bathroom mirror. A chalkboard in her kitchen proclaimed “Discipline. Consistency. Ultramarathon!” Her enthusiasm was contagious. The morning of the race, we left her house in high spirits to carpool with a friend of hers to the course. We parked in a grassy field. Several runners had camped there the night before. After our race director, John, gave us some instructions, we listened to the national anthem. We faced a flagpole outside of a rustic inn. Our eclectic collection of athletes had attracted the attention of several guests, who stood on the front stoop of the inn, right behind the flagpole, giving us strange looks throughout our salute of the flag. Pre-race briefing. I missed most of it due to liberal application of bug spray. Immediately after the anthem ended, John said “Okay, start running!” With little further ceremony, the race began. Climbing Moosalamoo. The first few miles were glorious. Blasting down a wide, pebbly road felt amazing. I’d tapered perfectly, my legs felt fresh, and the weather was great. I was leading the pack for a while, even keeping up with many of the 14-mile runners. This aggressive pace (7:45) was part of a critical early race strategy. The race is named after Mount Moosalamoo, and after these wide roads, we’d be climbing to its summit. 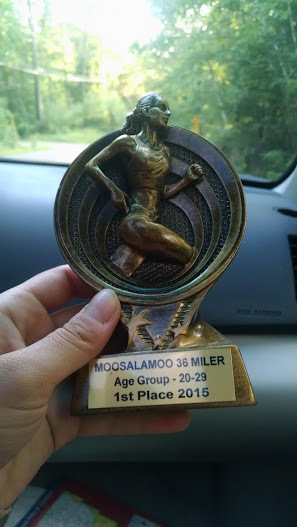 Patti’s friend, Erika, who we had carpooled with, had run the course before, and she let us in on a secret: the Moosalamoo climb was very narrow single-track. If you got stuck behind someone, you were there for a while – it wasn’t easy to pass. The uphill grade wasn’t too bad, and the hill itself wasn’t very long. The main problem was the terrain – lots of rocks and roots. This was more than a sign of things to come; the course was extremely technically challenging, and this early section was no exception. I stumbled several times on this section, and on one rather nasty fall, I split open the palm of my left hand on a rock, knocked my knee, and bumped my hip pretty hard. Nothing show-stopping, although I wasted too much time at aid stations unsuccessfully trying to bandage my hand up. I ended up leaving it open and letting dirt act as a partial coagulant. Maybe not the best solution, but I figured the dirt was probably pretty clean and it was better than messing around with trying to cover it up artificially. I also recognize that this is ludicrous, ultrarunner-type justification for handling an injury and is zero percent of the time a best practice. Out-and-back. After the first aid station, we had a small out-and-back – just under three miles. Out-and-back stretches are useful because you can see who’s ahead of you. It seemed like there were five or six women ahead of me, and they were anywhere from five to fifteen minutes ahead, so at that point, I was fairly sure I didn’t have a chance of catching them. This section also included our first introduction to the mud. These were wide pools of quicksand-like slop. There was no way around them, and you were going to get dirty. I ran through one particularly nasty swamp and felt a sucking at my right foot. Before I knew it, my foot had pulled free from the mud – without my shoe! I looked back into the mud, and there was no sign that a shoe was in there somewhere. It was just a vast puddle of uneven, wet dirt. This had never happened to me before – the loss of a shoe in the mud – and it felt like a moment from a cartoon. I did the surprised-blink thing that cartoon animals do, then quickly evaluated my options. The only choice was to go in after it. I stepped back to where I thought the shoe was and thrust my hand into the mud, up almost to my elbow. The shoe wasn’t immediately easy to find, so I dug around in there for a minute before catching a shoelace with my fingers. I tried unsuccessfully to yank it out, then moved my hand around to various parts of the shoe to try for a better angle. After a minute, it emerged with a sucking sound. I scraped the goo out of the inside of the shoe, re-laced it, and kept going. That diversion probably cost me three of four minutes. “At least that was the last of the mud,” I thought to myself. I was so extraordinarily wrong. This is definitely not a trail. The next few miles were uneventful, until we passed the half-way aid station. After running across a scenic dam, we descended onto a wide, pebbly trail, which abruptly came to a terminus at a mechanical box. I looked around, confused – there was no obvious path to take from here, but there were definitely course markings on this mechanical box. I took a few steps towards the curtain of forest ahead of us, but that wasn’t a path. 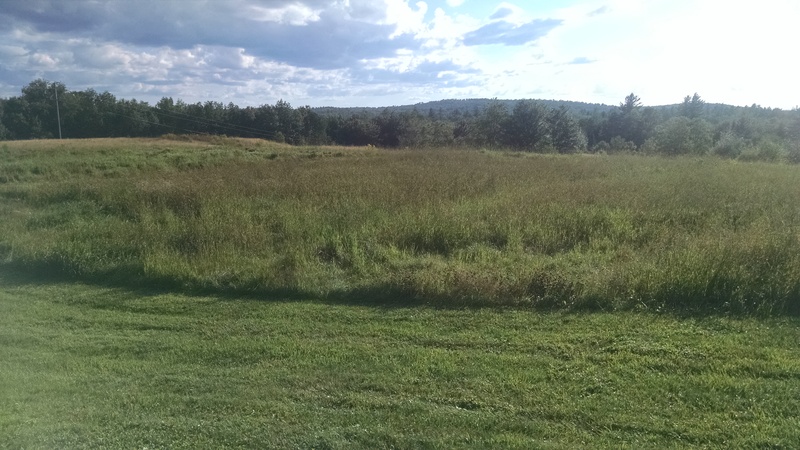 To my right, seven-foot-tall swamp grass waved gently in the air. It would have been scenic – an unbroken, undulating plain of nature, except that hanging just over it, fluttering in the wind, was an orange course ribbon. The only thing to do was head towards it. The next mile or so was battling through this swamp grass on a slanted bank. On the high side was impenetrable forest, and on the low side was an even steeper bank with a river at the bottom. Seriously, though, there was no path here. We were legitimately bushwhacking through the underbrush, creating our own trail. There was no running through it. The loop. 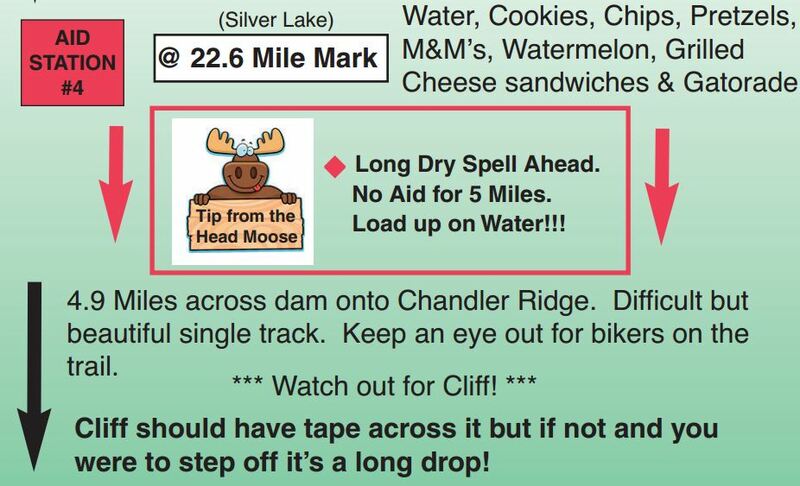 The next aid station was one we would see twice: once at mile 22, and once again at mile 31. Leaving the aid station, we made our way along a beautiful, soft, clear trail by a lake. My earlier anger evaporated, because this was gorgeous, and we could run it. This period of bliss ended all too quickly; the trail turned right up Chandler Ridge. I wasn’t worried about it, because the elevation profile wasn’t offputting. However, these next four miles were really rough; the trail wasn’t even a little bit runnable. 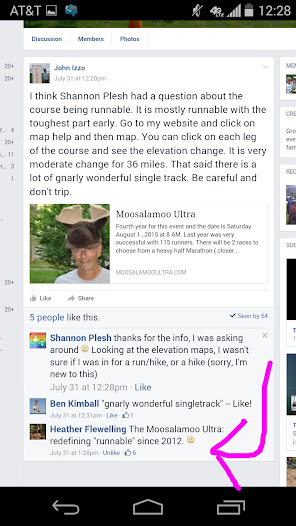 From the facebook group: the race director claims the course is runnable. A race veteran replies with a tongue-in-cheek analysis. This maybe should have been a warning sign. Roots crisscrossed the path like snakes. Every time I’d break into a trot, I’d inevitably trip after about three steps, no matter if we were going uphill or downhill. This was a really rough, disheartening section. I felt strong, but there was no way to break out and stretch my legs. Direct excerpt from the course guide. There’s just so much danger going on here. After we left the Chandler Ridge trail, there was an unmanned aid station, then a couple of miles of flag, clear single-track. 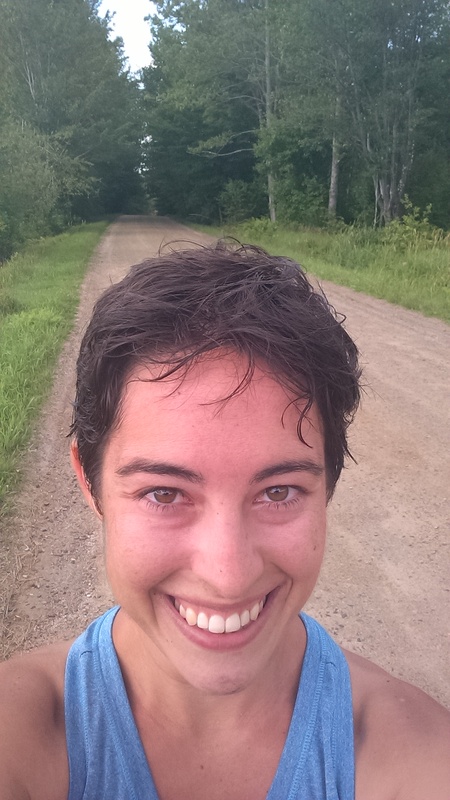 I was still frustrated, but decided I was going to run the next few miles, no matter what. After a few minutes, I found that the trail was really good, and I still had a ton of energy, so I picked up the pace pretty substantially here. I came into the 31-mile aid station excited to keep moving. I’d been on the course for about 7 hours. With five miles to go, I felt pretty confident that I could finish in under 8 hours if the trail was good. Patti was at the same aid station, about to take off on the loop. I gave her a hug and headed out, feeling strong. The last five miles. The first mile or so was on wide, dirt service road. It was amazing. I felt so strong here, flying up hills and letting my legs stretch out. It this was what the trail was like, it would be easy to finish in 8 hours. My hopes were quickly dashed when the dreaded orange course markers appeared. Just before a hill, the course abruptly turned off of the delicious single-track service road and plunged back into the dense, wet forest, divided by a tiny little winding trail. So much for 8 hours. In defense against mosquitoes, I had marinated my clothes in Deet the night before the race. I’d also lathered on more Deet – sunscreen-style, even though it was spray-on – just before the race started. However, by this point in the day, it had all sweated off. I was furious at the bugs as they tried to snack on me, but there was nothing to do but run faster. Immediately on entering the forest again, we encountered more mud puddles. So many. As far as the eye could see, mud everywhere. There was no way to get through it quickly. Honestly, I also didn’t want to lose a shoe again, and picked my way around the mud puddles as best I could. I was so disheartened at this point. I felt like I had so much gas left in my proverbial energy tank, but this ridiculous course had stymied my efforts over and over. There was no way to use it up. The course was just too technical. What’s only ankle deep? Then I saw it. More swamp grass. Towering above my head. And the grass was standing in ankle-deep water. I didn’t even think twice at this point – the finish line was just a few miles away, and there was nothing that was going to get in my way. I plunged into it, made it to the other side, and blasted up the hill to the last aid station. He pointed down a very wide, inviting service road. I grinned. Fast trail. With just a few miles to go and forgiving trail, I pushed hard. I was running 9-10 minute miles at this point, which is really excellent this late in the game. I felt really strong. I came around a corner, and saw my pursuit – a girl named Heather, who I’d chatted with earlier. She also knew Patti, and Heather had run the course several times before. I was tracking her down. With 1.7 miles to the finish, I encountered another red plate with confusing directional instructions. I yelled into the brush to figure out where Heather was, then saw her behind me and to my right, up a hill. Tons of people got lost at this intersection. I was so glad to be trailing someone who lived in the area and knew the course well. I caught up to her with about a mile and a half to go, and we picked up the pace. At one point, she said “This is all I’ve got – you go ahead if you want to!” I told her no way – we were going to blast into the finish together. She stuck with me. We were hauling. It wasn’t competitive – we were supporting each other, urging each other to finish the race strong. Finally – finally! We burst out of the forest and into a clearing. We could see the finish line, and raced down the hill and into the finishing chute together. Afterwards. Heather and I high-fived, and I found Erika, who had placed 3rd in the 14-mile race. Erika and I came in 4th and 5th respectively for women, and I came in first in my age group, with 8:14. Not bad. I took a quick shower behind the building and reapplied more bug spray. The view from the start/finish. Also the view from the open-air showers. Not bad, Vermont. Erika and I camped out for Patti, who had gotten lost due to poor course marking. After sending us a message effectively via carrier pigeon – there was no reception – she finished strong, having conquered an extremely, outrageously difficult course. I couldn’t be more impressed with her. Antarctica was a strangely life-changing experience. I never would have come up to gorgeous Vermont, to take on this extremely difficult race, if it weren’t for meeting Patti on that trip. What a fun adventure, and one that is still paying dividends. Patti, finishing her first ultra with a smile. It was such a fun opportunity to get to support Patti during her first ultra, both in the days leading up to it and in the debrief afterwards. 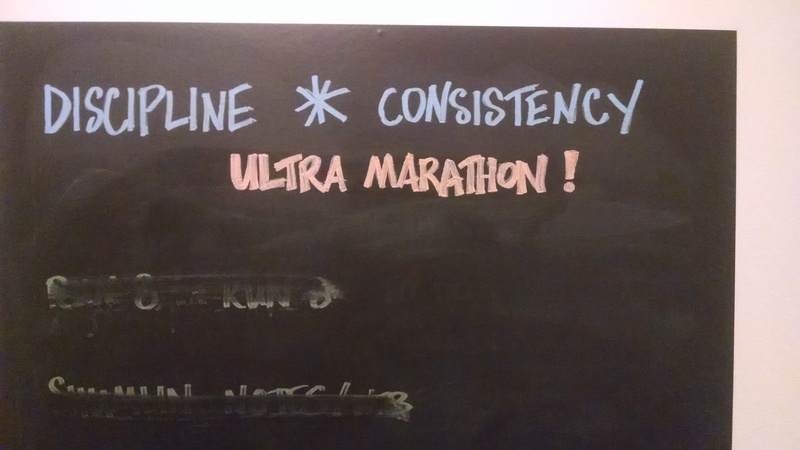 It made me reflect on my first ultra – also a 36-mile race, and extremely disheartening, as I was extremely under-trained and finished second-to-last. I’ve come a long way since then; as a veteran, I wanted to share some of the things I learned with Patti and make sure she didn’t think this ludicrous race was representative of all ultras. This race has also given me a fire to push myself harder. This was a very challenging, borderline frustrating race, mainly due to how technical the course was. Clearly, the difficult trail conditions explain why the course record was so slow (although, both male and female runners broke the course record this year – a really stacked field!). I have never felt so fresh at the end of a race before, and it just spoke to how much of the course was about technical ability rather than speed and strength. I’m a decent technical runner, having started on trails in Santa Cruz, but these trails definitely weren’t something I trained for. At the end, I felt like I had more energy in the tank, but looking back I don’t know where I would have used it. This was definitely not a “runnable” course. After this race, I’m hungry for another challenge. I feel strong, and I want to see how fast I can go. Bring it on. At the start/finish, just after finishing. Check out that flat service road! Morning-after breakfast with Patti. Matching penguin scarves, in honor of Antarctica! This entry was tagged finishing, hills, insights, inspiration, Lake Tahoe, motivation, no excuses, race report, singletrack, technical, ultramarathon. Bookmark the permalink.